Your garage door is equally important as the garage itself. It may seem like just another part of your home, but it actually can add a great deal of security and appeal to your house. Either that, or do the exact opposite. That's why caring for your door and making sure it remains in a great working condition is so important. One of the main things your garage door is responsible for is keeping rain, snow and other rough weather conditions from getting inside your garage. Your car and any other property you keep inside it could get damaged if it fails to protect them. Not only that, but if water manages to get through, then your garage is most likely not as insulated as its meant to be. That means that your HVAC unit will have a harder time maintaining your desired indoor air temperature, which will end up costing you more on your electricity bill. This is arguably the most important aspects of your system. 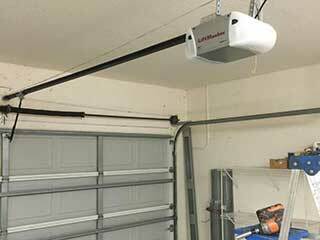 In fact, this is one of the main things that need to be considered before buying a new garage door. Different materials will offer you different levels of protection and security. Different openers can also assist you in keeping your home secure, as many modern models have unique features that can help, such as rolling code technology, digital locks and more. When it comes time for you to get a new door, you'd be wise to consult with a professional in order to find a model that can fit your specific needs. Our team at Garage Door Repair Brooklyn can help you with that, and we can also provide you with a regular maintenance service that will help you keep your garage door and all of its components in an excellent condition. Call us today.